Whither Nuclear Command, Control & Communications? Most of the system that allows the president to launch nuclear weapons and to know what the enemy is doing with theirs is ancient. Everyone agrees the Nuclear Command, Control and Communications system (NC3) must be replaced. No one yet agrees what it must replaced with… The 62 systems that together comprise the NC3 were mostly designed and built before the 1980s, most in the 1950s and 60s. That makes the system very secure because, in most cases, there is no network at all. 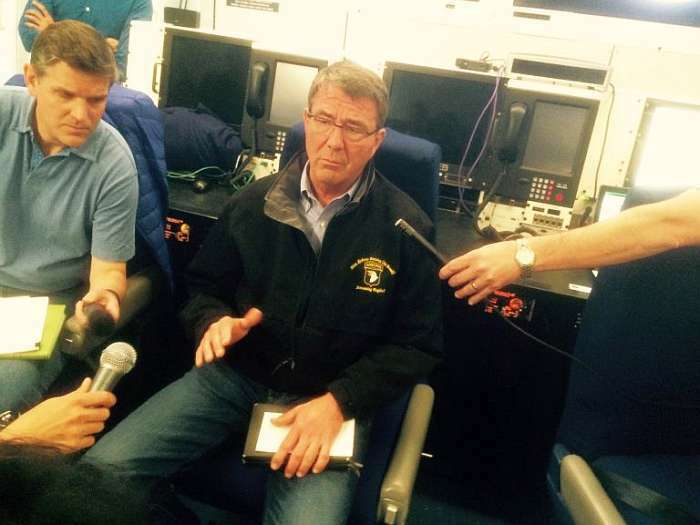 Where there is a network of any kind… – Breaking Defense Photo: Note the phones and computers behind former Defense Secretary Ash Carter. 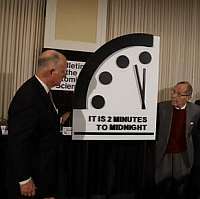 ← How Many Minutes to Midnight?